Chiropractic is a form of treatment that seeks to eliminate pain–and, in some cases, other problems–through the manipulation of the spinal column. Chiropractors believe that if the spinal vertebrae are properly aligned, impulses from the brain are able to travel freely along the spinal cord to the various organs, maintaining healthy function throughout the body. If a misalignment of the spine occurs the normal flow of impulses is disrupted, resulting in pain as well as other physical disorders. Chiropractors seek to return the spine’s alignment to its normal, healthy state. This permits the nervous system to regain normal function, allowing the body to heal itself and eliminate the pain. After Dr. Nance locates any spinal misalignments, the chiropractic adjustment is used to reestablish normal function. This adjustment may involve touch; active motion, in which the patient bends and stretches in specific ways; and passive movement, in which Dr. Nance assists the patient’s movements. A hand-held rubber-tipped instrument may be used to gently manipulate the vertebrae. 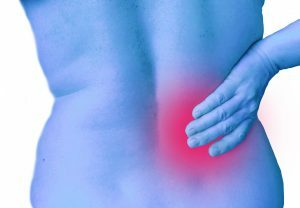 Additionally, the chiropractic adjustment may be supported with applications of heat or cold, electrical stimulation, nutrition, and other natural therapies. Dr. Nance does not use drugs or surgery. Website Design by The Novel Business.